or go to Organization > Organizations > Groups. 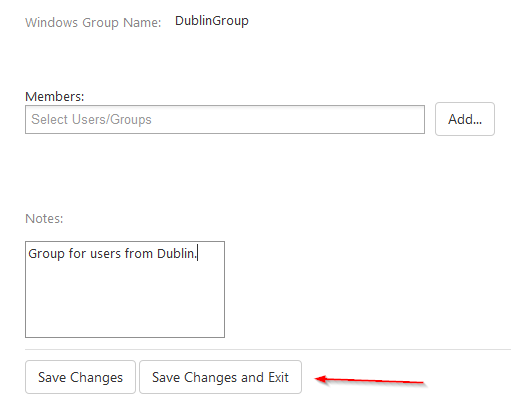 Select the group you need in the list of all groups. You can use search box in the right to quickly find the one you need. Click on the group you need to open Settings page for this group. Here you can add notes for this group. As usually, Save Changes will redirect you to the list of all groups, and Save Changes and Exit will leave you at the same page.